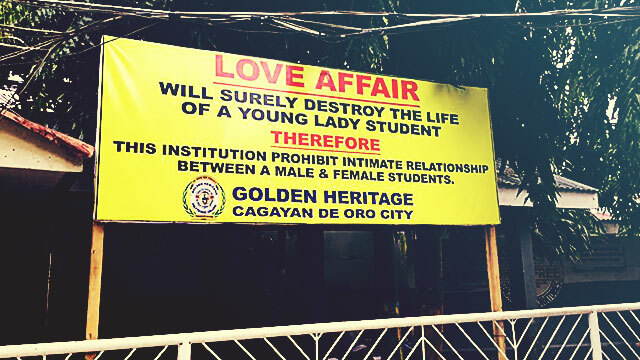 In 2015, six students were expelled from the Golden Heritage Polytechnic College in Cagayan De Oro City for quite the curious reason. 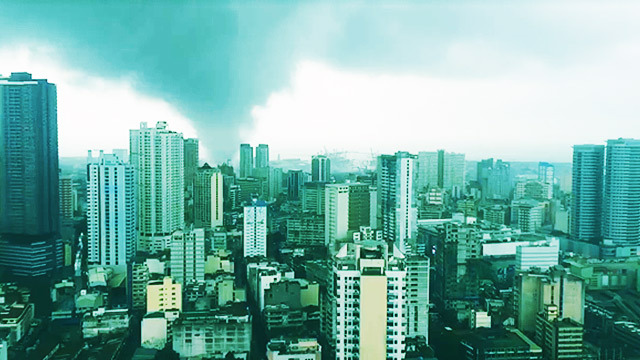 Each one of them was romantically involved with a schoolmate. Apparently, the school has been implementing a rule that prohibits their students to get into relationships with one another.. 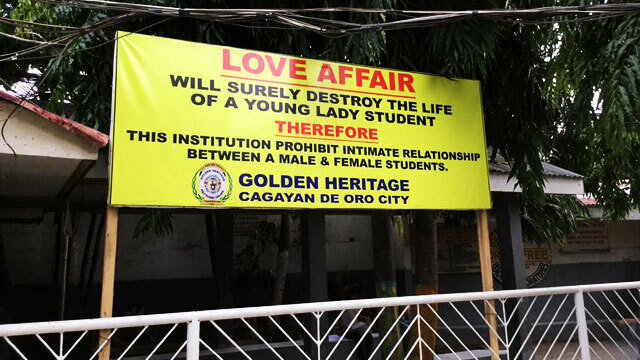 If the giant tarpaulin at the campus entrance isn't a strong enough reminder for its students ("Love affair will surely destroy the life of a young lady student," the feminist bait of a notice read), the policy is also reportedly printed on the uniforms of its teachers. The author of the prohibition, school president Tito Dichosa, explained to ABS-CBN News that he simply wants his students to finish their studies. He said he finds it frustrating every time an early pregnancy causes one to stop attending school. But isn't casting out students pretty much the same thing?